Diabetes is one of the most common chronic diseases to affect children. It can strike children of any age, even toddlers and babies. If not detected early enough in a child, the disease can be fatal or result in serious brain damage. Yet diabetes in a child is often completely overlooked: it is often misdiagnosed as the flu or it is not diagnosed at all. Every parent, school teacher, school nurse, doctor and anyone involved in the care of children should be familiar with the warning signs and alert to the diabetes threat. *In children with type 2 diabetes these symptoms may be mild or absent. Diabetes is a chronic, potentially debilitating and often fatal disease. It occurs as a result of problems with the production and supply of the hormone insulin in the body. The body needs insulin to use the energy stored in food. When someone has diabetes they produce no or insufficient insulin (type 1 diabetes), or their body cannot use effectively the insulin they produce (type 2 diabetes). Type 1 diabetes is an autoimmune disease that cannot be prevented. Globally it is the most common form of diabetes in children, affecting around 500,000 children under 15. However, as a result of increasing childhood obesity and sedentary lifestyles, type 2 diabetes is also increasing fast in children and adolescents. In some countries (e.g. Japan), type 2 diabetes has become the most common form of the disease in children. Globally, there are close to 500,000 children under the age of 15 with type 1 diabetes. Every day 200 children develop type 1 diabetes. Every year, 70,000 children under the age of 15 develop type 1 diabetes. Type 1 diabetes is increasing fastest in pre-school children, at rate of 5% per year. Finland, Sweden and Norway have the highest incidence rates for type 1 diabetes in children. Type 2 diabetes has been reported in children as young as eight and reports reveal that it now exists in children thought previously not to be at risk. In Native and Aboriginal communities in the United States, Canada and Australia at least one in 100 youth have diabetes. In some communities, it is one in every 25. Over half of children with diabetes develop complications within 15 years. Global studies have shown that type 2 diabetes can be prevented by enabling individuals to lose 7-10% of their body weight, and by increasing their physical activity to a modest level. Type 2 diabetes in children is becoming a global public health issue with potentially serious outcomes. Type 2 diabetes affects children in both developed and developing countries. Diabetes is a deadly disease. 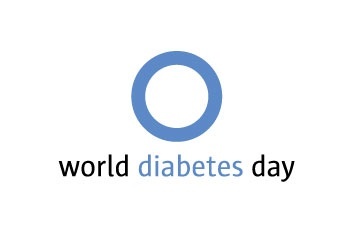 Each year, almost 4 million people die from diabetes- related causes. Children, particularly in countries where there is limited access to diabetes care and supplies, die young. Diabetic Ketoacidosis (DKA), a build-up of excess acids in the body as a result of uncontrolled diabetes, is the major cause of death in children with type 1 diabetes. With early diagnosis and access to care, the development of severe DKA should be preventable. Insulin was discovered more than 85 years ago. Today children in many parts of the world still die because this essential drug is not available to them. Children with diabetes should monitor their blood sugar regularly to help control their diabetes. This monitoring equipment is often unavailable or not affordable. In Zambia, a child with type 1 diabetes can expect to live an average of 11 years. In Mali, the same child can expect to live for only 30 months. In Mozambique the child is likely to die within a year. To return briefly to a related discussion in yesterday’s article on Obama and how the Vatican arrives at its pronouncements on the morality of modern scientific developments, the above link exploring the Pontifical Academy of Science may shed some light on it. Even a cursory reading will confirm that its pronouncements may be controversial and debatable but they hardly proceed out of ignorance and the shallow caricatures put forth by biased judgments.